Struggling with conversions and the ever-growing cart abandonment epidemic? You’re not alone. The attention span of the average visitor on-site is shrinking. Meanwhile, cart abandonment rates are on the rise as more visitors drop off for one reason or another. In fact, a recent report from Listrak puts the average abandonment rate at approximately 78%. 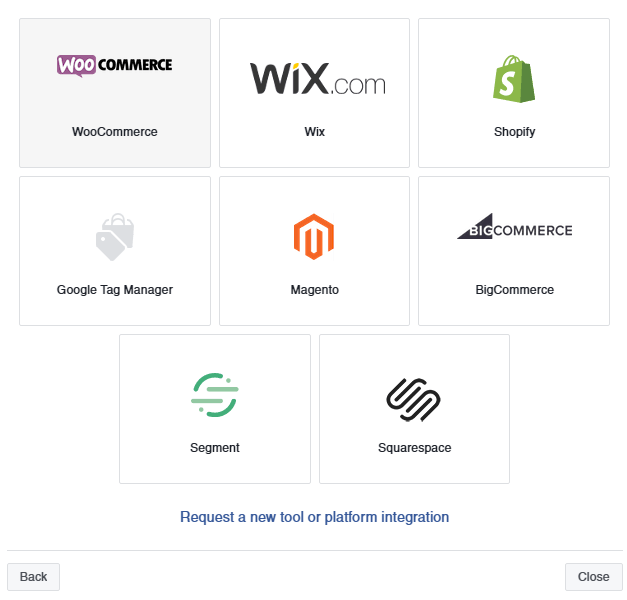 These factors combined spell double trouble for marketers who just can’t seem to convert visitors despite their best efforts. And you can do just about everything right in terms of conversion optimization and still watch your would-be customers or opt-in’s slip away. Maybe they had second thoughts about your price point or something in your copy rubbed them the wrong way. Perhaps they had to step away from their screen and flat out forgot to come back. That’s why Facebook remarketing has become the bread and butter of marketers looking to win back lost traffic. 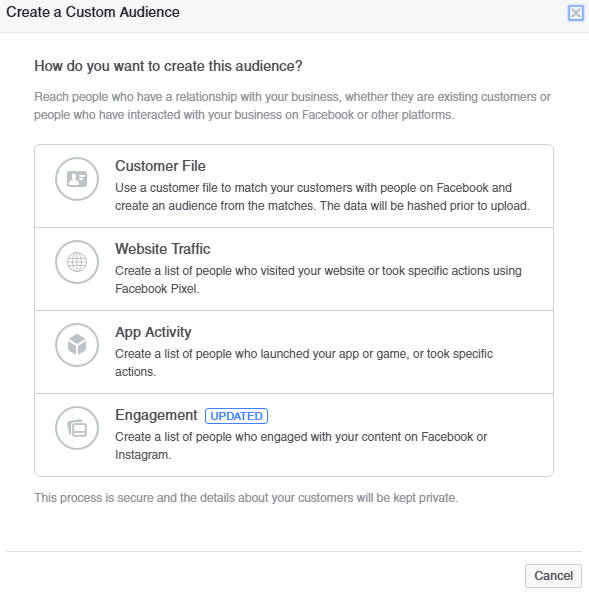 For starters, Facebook ads allow marketers to get hyper-specific in terms of their audiences and who they’re targeting. Also consider that the average person is spending nearly an hour per day on Facebook, increasing the likelihood of eyeballs on your ads versus the blind hope that your past visitors will return on a whim. 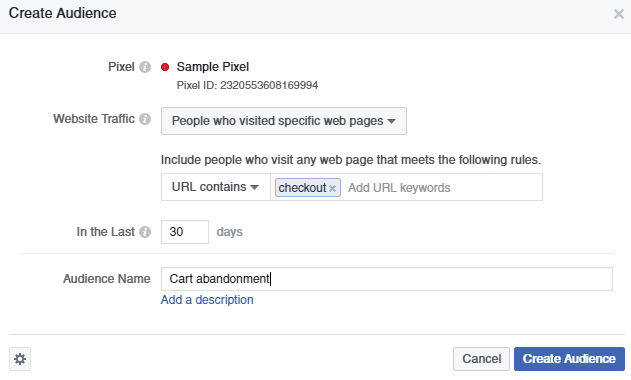 Whether you’re new to the world of Facebook remarketing or want to fine-tune your next campaign, this guide can set you on the right path. 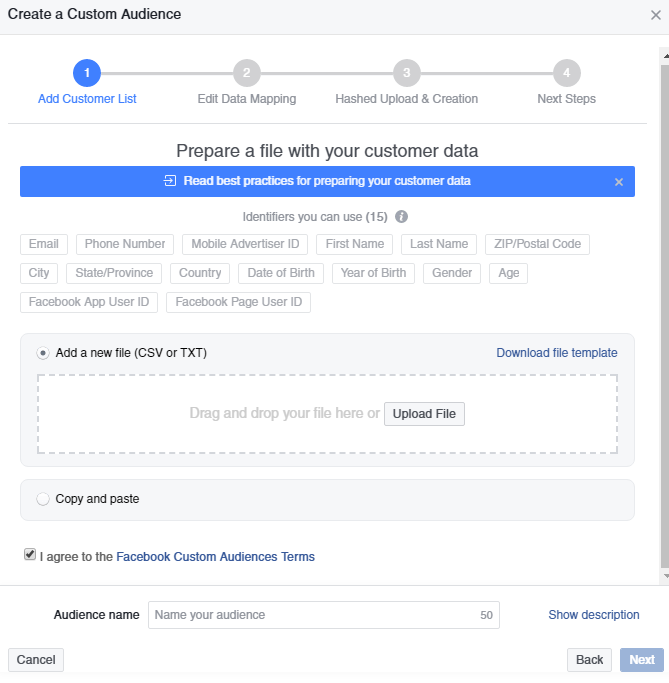 Facebook remarketing refers to the act running ads targeted toward past visitors to your site. Let’s say you run an ecommerce store. You’re getting traffic to your checkout pages, but your bounce rate on those pages is pretty high. You realize that people are right on the edge of converting but you’re losing them. 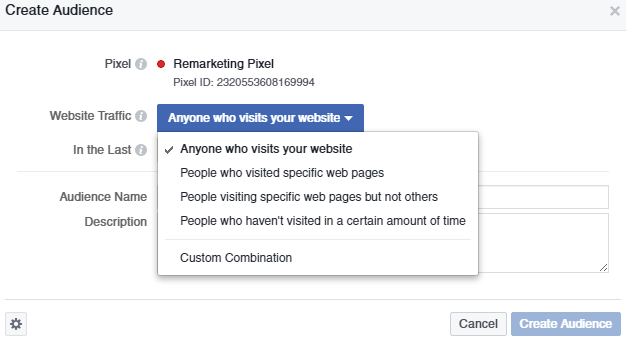 Through Facebook’s tracking pixel, you can identify visitors who bounced and run a targeted ad based on their behavior. For example, you could offer a Facebook-exclusive coupon code or some sort of freebie to incentivize them to complete their purchase. 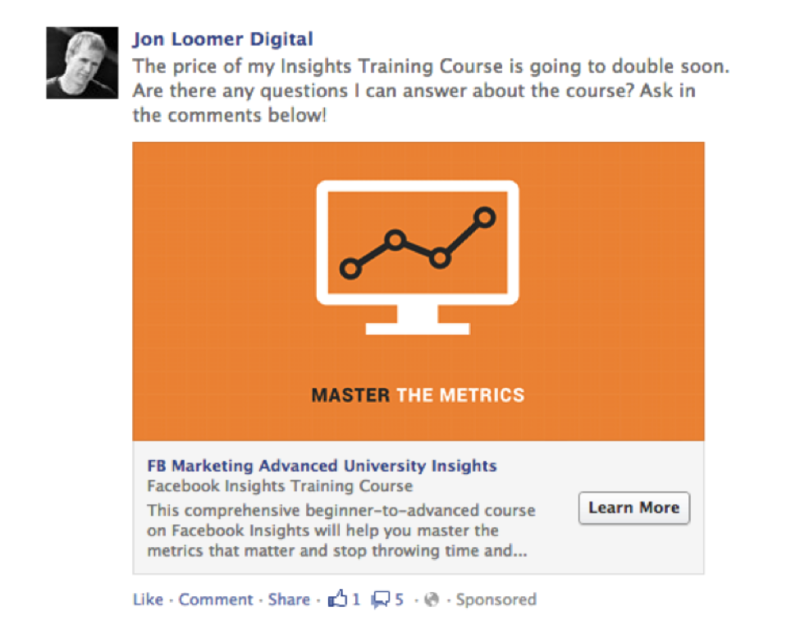 The copy in this particular ad is specifically served for traffic who was on the fence about Jon’s course and needs some reassurance. This is obviously much more likely to convert a previous visitor than a generic, one-size-fits-all ad. 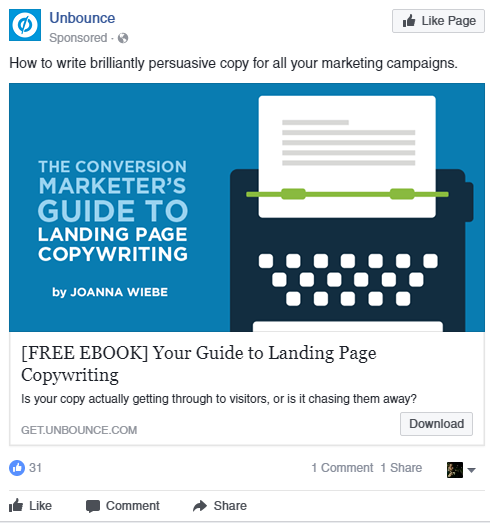 Your ads are front and center in your leads’ Facebook feed: in other words, they occupy prime real estate. Facebook remarketing isn’t impacted by ad blockers which are crippling most native ads these days. Marketers have so much information at their fingertips through Facebook ads that they target exactly who they want. 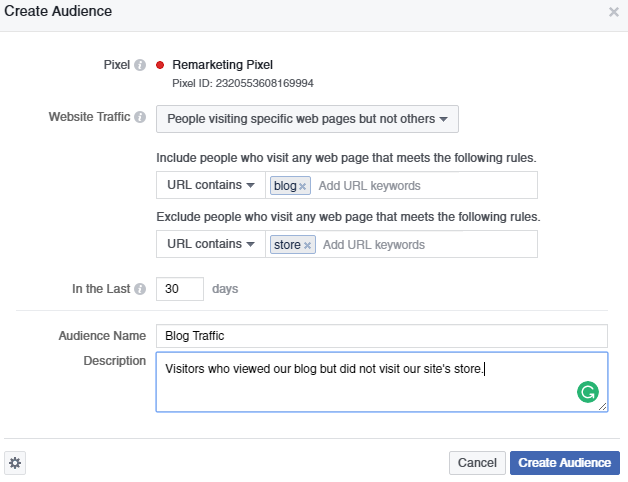 Now, it’s also important to note what Facebook remarketing is not. Despite popular belief, remarketing isn’t about “stalking” your traffic or hunting them down. Remarketing isn’t a silver bullet solution, either. If you want your campaigns to succeed, you’re going to need to know exactly who to target. Speaking of which, effective targeting starts with understanding how Custom Audiences and Facebook Pixels work. 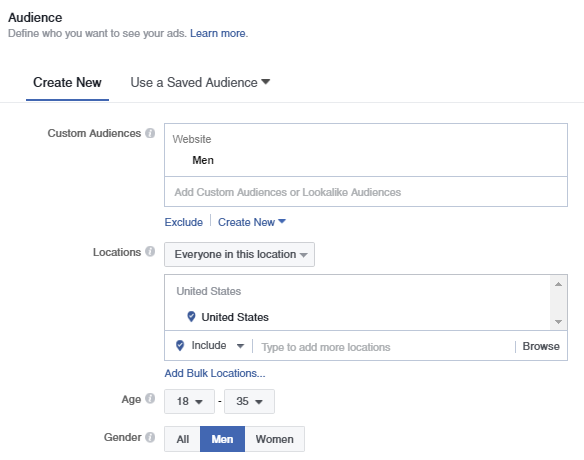 The beauty of Facebook ads is that you can break down your ad-targeting based on extremely specific behaviors and the backgrounds of your leads. Your current customer list via email? Check. Traffic that visited a particular page? Check. Visitors that haven’t hit up your site in a while? Check. 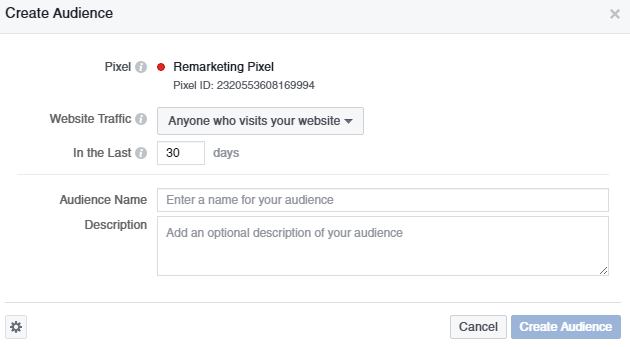 You can see just how in-depth Facebook remarketing gets at a glance, right? Well, for the purposes of this guide we’re going to focus on Website Traffic. After all, that’s where the Facebook Pixel comes in handy. 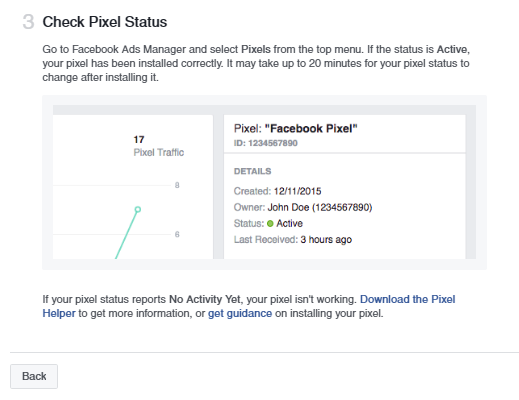 Think of a Facebook Pixel as a sort of tracking code. 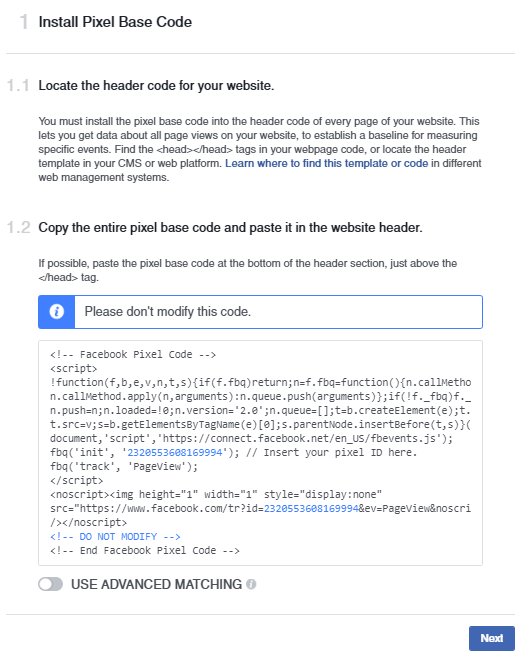 If you want to track your traffic’s behavior from your site back to Facebook, you have to copy and paste the code from your Pixel to your website. If you’ve ever set up Google Analytics before, it’s a similar sort of process with a few extra steps. 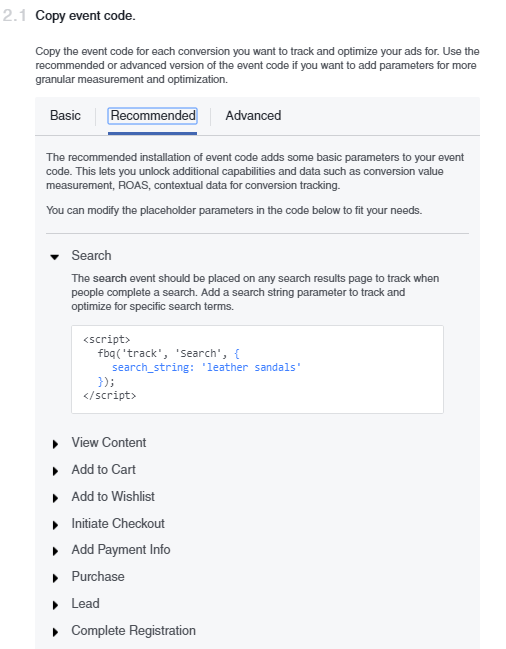 Obviously, there are plenty of variables to work with and lots to tweak within any Facebook remarketing campaign. Keep in mind that this freedom allows marketers to target exactly who they want and make the most of their ad spend. Chances are you’ve been served an ad on Facebook that feels like it was tailored just for you, right? You visit a shop online and browse for a few minutes. The next day you see a sponsored post in your Facebook feed for the exact same stuff you were mulling over. That’s what makes Facebook’s platform and remarketing in general so powerful, though: marketers can fine-tune their campaigns to the point where it seems like a science. That said, much of the success of any given retargeting ad comes down to how much attention you pay to your Custom Audiences. Think about it. Let’s say you’re an ecommerce shop that sells apparel for young adults. As such, it’s crucial to run ads with the appropriate imagery and copy that speak to the specific segments of your audience. For example, your remarketing ads for summer blouses probably wouldn’t perform particularly well with your male audience members, right? Meanwhile, your men’s shoe deal probably wouldn’t do much for the females on your list. Effectively honing in on appropriate Custom Audiences can make or break your campaign. The more specific your demographics and parameters for ads, the better. Even if you’re not worried as much about segmenting your traffic, there’s still a time and place for remarketing. Email is a prime example. Importing your email list into Facebook ensures that you can hit up those on your list who might not be regularly engaging with your messages. On the flip side, you have the option to exclude those who are. And if nothing else, Facebook remarketing is a great measuring stick for your ads in terms of what’s performing and what isn’t. Regardless of the size of your business or list, there’s a reason why Facebook Ads are the go-to for so many marketers today. The ability to drill down and target specific visitors based on behavior is leaps and bounds above most ad options out there. Representing prime real estate for your leads, well-crafted ads can do wonders for conversion rates and cart abandonment woes. While no marketer should blindly throw money at Facebook Ads, they’re certainly worth experimenting with to bring bounced traffic and lost leads back to your business. Since we’ve all likely been on the receiving end of Facebook remarketing, how do you feel about these types of ads? If you’ve been sleeping on them, what’s holding you back? Feel free to share your experiences with remarketing and let us know your thoughts in the comments below.